We serve you great looking e-Docs that push your brand to the fullest! B2B Customers expect a B2C experience. PDF Butler makes it possible for every company to meet these expectations and encourages this with its highly flexible templates. Documents can be processed one-to-one, but also in bulk or batch context with an unrivaled speed. We do sub-second, real-time generation, there is no waiting time. PDF Butler allows the people in the workplace to easily translate their vision in the templates themselves. Making changes is so easy, it’s like your second nature. MS word or excel are your departure point and form the basis of every template. An extensive list of MS Word features is supported to empower every possible use case. The fact that PDF Butler uses Open Office standards, makes it so that there is almost no learning curve. Simply update the template and upload it to PDF Butler. It is literally that easy. 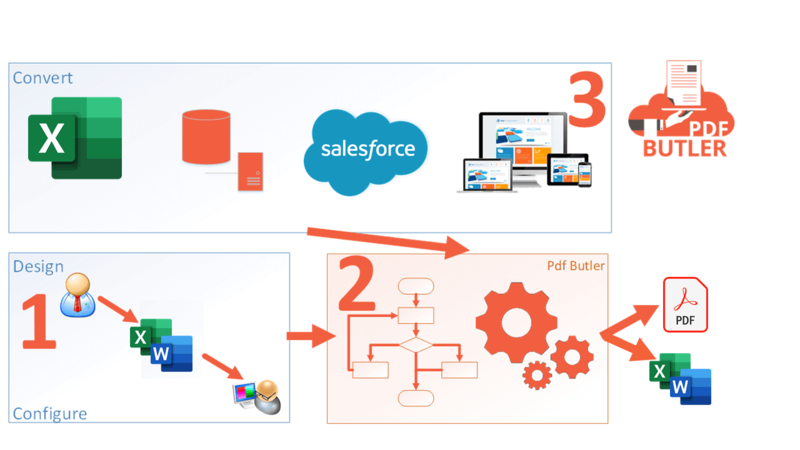 How does PDF Butler work? Real-time, blazing fast and highly scalable. Build great documents in hours and change them when you want! Use our Salesforce.com App or our very easy API's. PDF Butler was made with love to deliver the best service, companies today have to be "always-on"! Pay-as-you-go, elastic & Highly scalable. 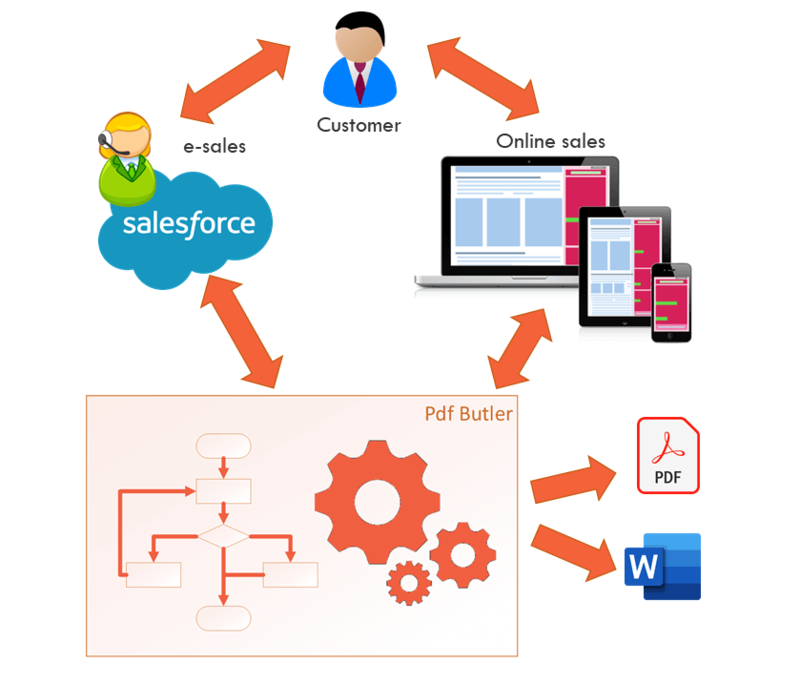 There are 2 ways to operate PDF Butler as shown below. Both can be used next to each other and can use the same configuration to assure that you can provide the same experience in every channel. Create instant e-docs in your one-2-one customer interactions. It does not matter if this through your sales department, via a mobile device or through your website. You need to create a large amount of e-docs at a specific moment and in a specific time-frame. Go for our Bulk solutions. PDF Butler spins up an environment that scales at your needs and delivers. PDF Butler is built with omnichannel in mind and centralizes the creation of electronic documents so you customers get the same experience from every channel. 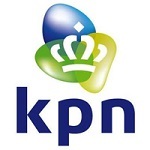 In the example below, a customer can order via telephone or via your website. Want a personalized demo? Ready to start your next project with us? Give us a call or send us an email and we will get back to you! Tell us your wishes and we will contact you! Anything specific on following topics? Select this program if you want to evaluate the product. You have a high amount of documents to create or want to don't want be bothered for a longer time and want to make use of our "best deal" offer. Contact us for details, we can go unlimited, spin up dedicated environments for one-off or monthly recurring events (eg billing) and all in between.